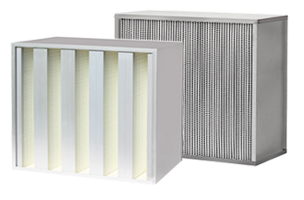 Pleated air filters provide a larger surface area of media compared to the filter size, which provides a low pressure drop and a greater area to catch dust driving low energy use over the service life. Pleats of MERV 8 to 13 are available to protect equipment and building occupants. Self-supporting NovaPleats have a low environmental impact because of their metal-free design and our EnduroPleats are the best fit for the most demanding of environments. With those variations and more available, Filtration Group has the right pleat for your needs. 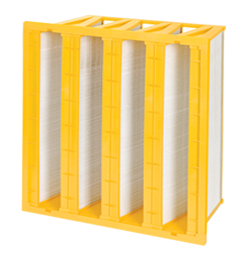 Minipleated Panel and V-bank air filters offer increased amounts of media compared to traditional pleated, box and pocket style filters. This allows them to achieve lower pressure drops at a given MERV rating, reducing energy consumption and driving a lower Total Cost of Ownership (TCO) for a given application. Used in commercial and industrial applications looking to achieve high Indoor Air Quality (IAQ) and low energy consumption. Panels, Links, Sleeves and Cube filters, commonly known as "Heat Seal" are a core competency for Filtration Group, as we are vertically integrated manufacturers of the media used in the construction of these products. Typically, Heat Seal products have a higher initial pressure drop than pleats, but have a much higher dust holding capacity which allows them to stay installed longer than pleats for a cost effective filter option. There are 7 Families of Aerostar® Heat Seal products ranging from 2-ply to 4-ply media construction and MERV 5 to MERV 10. 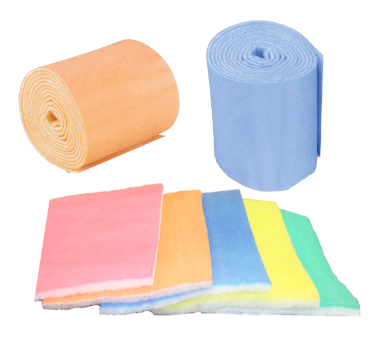 Antimicrobial and various tackifier treatments are applied to fit various end-user needs. With efficiencies up to MERV 15, pocket filters offer a great combination of low pressure drop, the availability of high MERV and a low relative price. Very common in traditional fixed speed fan systems, as the full airflow is necessary to completely fill the pockets with air to achieve maximum performance. Available in Fiberglass or our synthetic Rhino and patented synthetic SoniQ® to balance the needs of pressure drop, life and pocket rigidity. 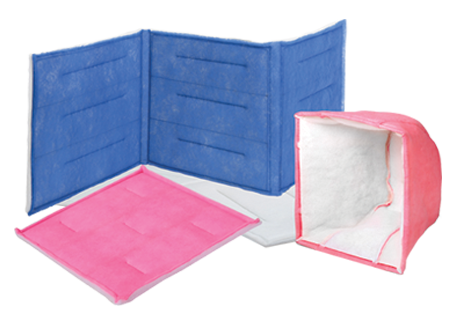 Aerostar® has your pocket filter needs covered. Traditional Rigid and Cartridge Cell filters have a great heritage, going back to the early days of the filtration industry. They have many construction types to fit various needs - from multiple header options to high temperature cartridge options rated up to 900º F.
Both Cartridge and Rigid Cell filters are available in fiberglass media, and the Rigid Cells have a synthetic option. 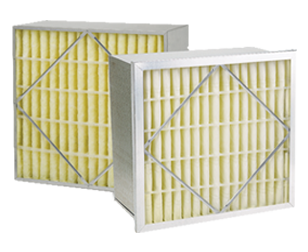 Find out more about the Aerostar® line of box filter solutions here. 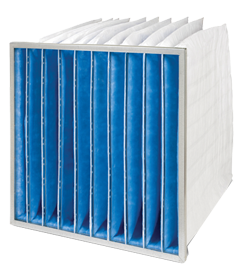 HEPA and ULPA filtration products are for sensitive applications where high levels of protection via filtration are required. With filtration efficiencies up to 99.999% at 0.3µm, applications can include Chemical and Aerospace Manufacturing, Gun Ranges, Healthcare, Food Processing and more. 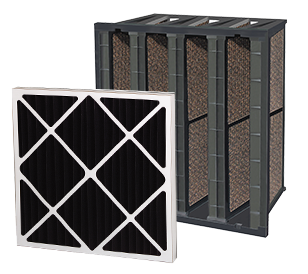 Filtration Group's line of HEPA and ULPA filters include traditional aluminum separated and minipleat construction standard capacity, high capacity and high volume products. HEPA and ULPA Cleanroom Panels are for the most critical of environments such as Chemical, Microelectronic and Pharmaceutical Manufacturing. Other applications can include Healthcare, Aerospace and anywhere USP 797 compliance is required. The Flowstar® Cleanroom products include traditional panels as well as Ducted Terminal Modules, Fan Powered Terminals / Fan Filter Units, Pharma-Replaceable Terminal Modules and Critical Environment Diffusers. Filtration Group's Gas Phase products have activated carbon media in multiple forms to fit various applications. 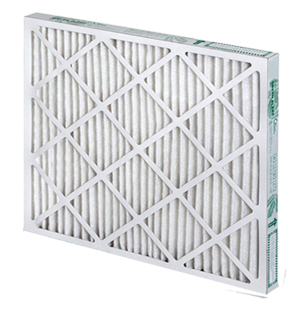 Including both carbon and particulate/carbon filters, multiple grades of carbon are available to target VOCs, acid gas, diesel exhaust, ammonia and amines. Packages include 1" die cut pleats to 12" deep aluminum or plastic housings, and everything in between. 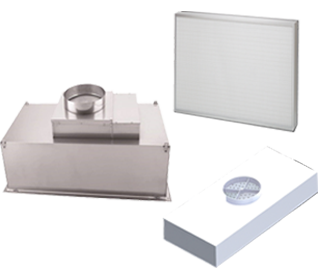 Filtration Group offers a wide range of media options to fit the needs of HVAC, Paint, Industrial, Construction and other applications alike. From our popular P, PST, OR and AVANT HVAC products to the EC, XL and XXL paint overspray lines, your needs are covered. Developed and made in house to have the best mix of MERV, pressure drop and dust holding capacity performance for your application. A proud full-line supplier of both filters and filter housings, Filtration Group offers custom housing to specification to fit every end user need. Design considerations can include number of stages, filter types and sizes, and of course, total airflow. 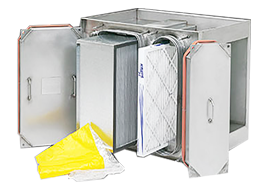 From products as simple as filter holding frames to Pleat V-Bank housings, HEPA multi-stage housings, Bag-In/Bag-Out housings, and Isolation Room Containment systems, trust Aerostar® to meet your custom fore market needs.